A good cigar is a true joy, and there are too few great cigars that are on the market these days. Part of the problem may be that we no longer have access to the Cuban cigar scene, which has long made some of the best cigars that are on the market, but the fact is that even without them, there are still some great cigars to be had. And in all truth, part of the reason that you can still get great cigars outside of Cuba? It’s because of their violent revolution. When the communists began to take hold in Cuba, they were angry about the people who were wealthy, the people they felt ‘had too much’, and a lot of the master cigar blenders were on that list. There are few things that exude class quite like a cigar, after all, and the communists forced many of these great cigar makers out of the country. 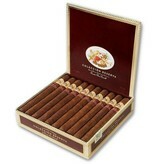 Many stayed in the Americas, though, where they could continue to ply their trade, and so it was with La Gloria Cubana. So what makes this Coleccion Reserva from La Gloria Cubana so worthwhile? Well, to begin with, it’s the first blend that was made for a cigar in the last decade by their master blender, who decided to make this from his favorite proprietary tobaccos to celebrate 25 years of continuous operation. They created a cigar that is medium-full bodied, flavorful, and a bit spicy, and one that you will find enjoyable if you like deeper and more complex flavor from your cigars. Pick up a box from elcigarshop.com today!